QUANZHOU, China (TRP) – It’s the heart-wrenching scene that unraveled after a puppy was struck and killed by a moving vehicle and her friend stood by her side, refusing to abandon her. 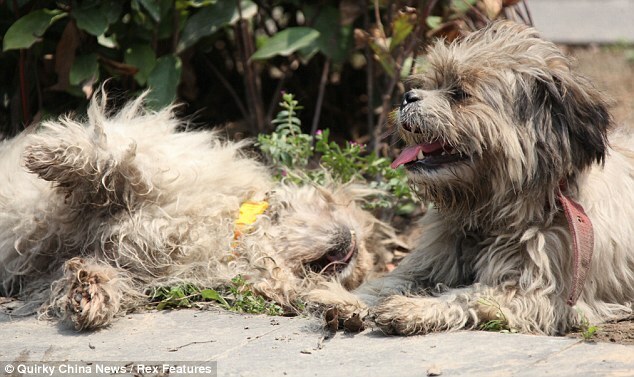 The loyal dog was photographed laying down beside his mate moments after she was killed on the street in Quanzhou, China this past weekend. 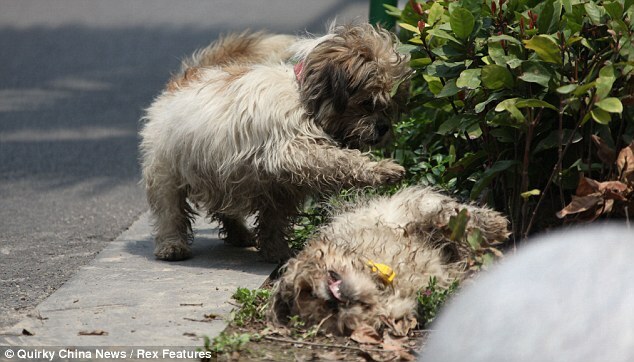 The grieving pup reportedly patted, barked and licked the lifeless body as it laid in the middle of the street. 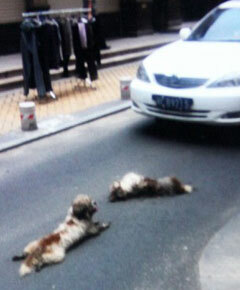 To avoid another incident, a passer-by dragged the body to the side of the road, where the mourning canine followed it. One unnamed resident in Quanzhou said: ‘They are together all the time. ‘Usually it’s the wife that runs out first followed by the husband. The body of the dead dog was eventually removed by a sanitation worker.